Finally we have open water on Big Wood. 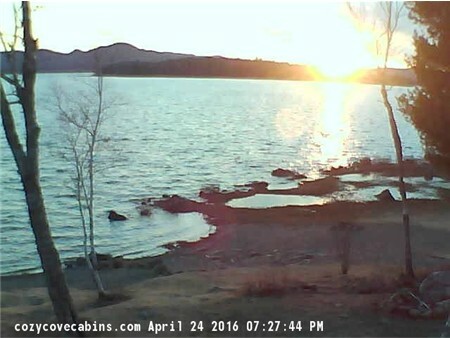 This first image is a Webcam shot on April 24th at sunset. Sorry to say but we have reached the deadline date to make your guess to this year-s ice out date. Good luck to those who entered. I will post the date as when I hear what the town says. Keep an eye on further posts or our webcam to see what happens. 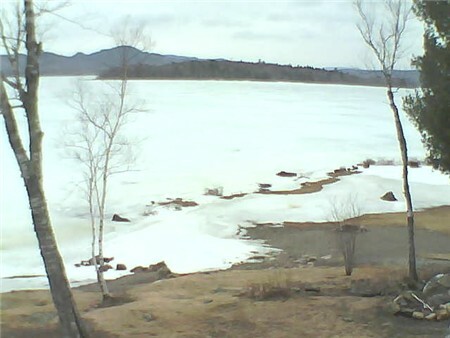 Here is our web cam shot of Big Wood from today. You only have 10 more days until the deadline to enter your guess for Ice Out 2016 on Big Wood. Scroll down to the entry Big Wood Ice Out Contest 2016, and enter your guess in the comments. 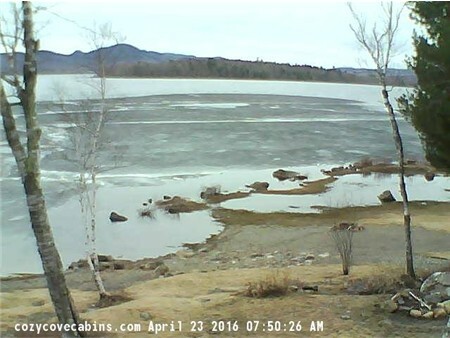 I am not sure how thick the ice still is but someone was out there yesterday on his snowmobile.